As you all know, we work really hard to give you the best experience possible on NemeGaming, so I thought I'd show you guys some of the big things that we've been working on this last month or so to show you guys that we're not a bunch of lazy bums. We got a lot of feedback from you guys that our old hub spawn wasn't that great - not only was there not much detail in it, but you also had to walk a long way to get to the server mobs. In response to this, we hired a professional build team to hand-craft a new realistic hub spawn for us -- check it out in game or above! 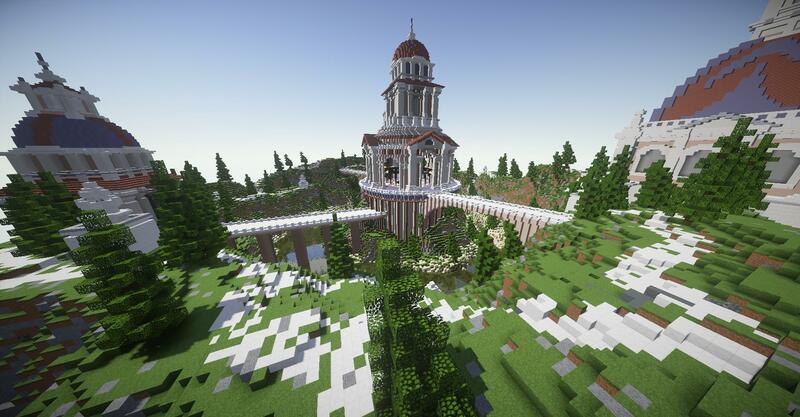 After updating all of our servers to 1.9, we realized that not many of you guys liked the new PvP style. Because of this, we changed the PvP style on OP-Factions, OP-Prison, and Drugwars back to the old style -- the attack speed is the same as before, the notch apple effects are the same as those in 1.8, and you can now craft notch apples again! All of these servers are still on 1.9 though, so you can still enjoy the new non-PvP related features. EDIT: Until we update on March 12th, we have implemented support for 1.9 (you can log into the servers with 1.9, but the servers will still be on 1.8). A lot of you have been asking about our plans for 1.9, so I thought I'd outline them here. But before we do that, let’s back up a bit. You Minecraft veterans out there will remember the mass panic that the community was in when the adventure update (1.0) was released -- many people said it would "ruin the game" and "nobody would update or want to play the new update". That update, however, is what made Minecraft the huge game that it is today. This has happened on a smaller scale for pretty much every major update that Minecraft has released. As with every update, every server/network that wants to survive is going to have to update in order to survive and keep growing, it's just a matter of when they do so. Historically, the earlier that we’ve updated, the more successful we’ve been on that update. EDIT: We've added another reset to this list -- Drugwars!